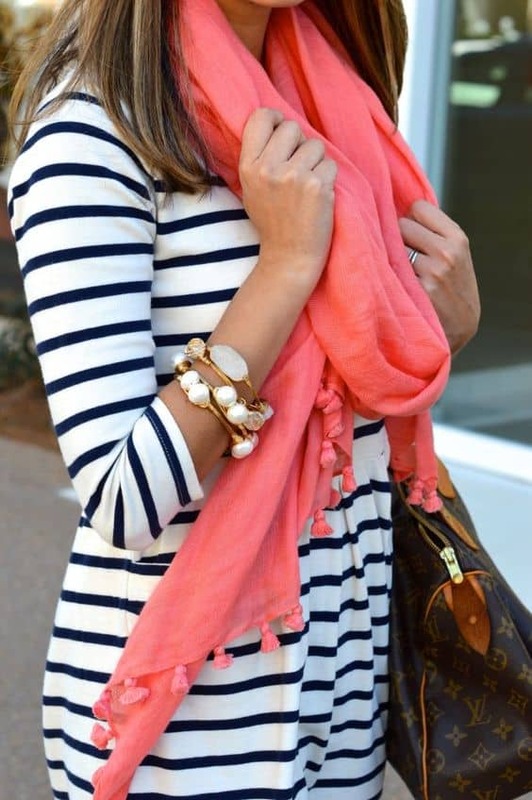 What is the color coral pink and what matching colors you can wear with it? This is incredibly beautiful and fashionable summer shade that looks fresh and relevant, as a bridesmaid, as the women who work in the office whole day. spring or mint green (for a girlish or tender look). What is really good in coral pink is that it matches a lot of colorings due to its components: cool pink and warm orange. You can create a harmonious look for any occasion even trying this a little bit toying shade in business dress combining it with dark or light grey and simple brown. There are almost no age or season restrictions as to its appliance. It looks perfect enhancing the tan in summer as well as showing off the natural skin tone in winter days! Perhaps it can be tricky for autumn type of face with pale skin that is why some bright details in makeup are recommended to allow this marvelous tone to pull off. 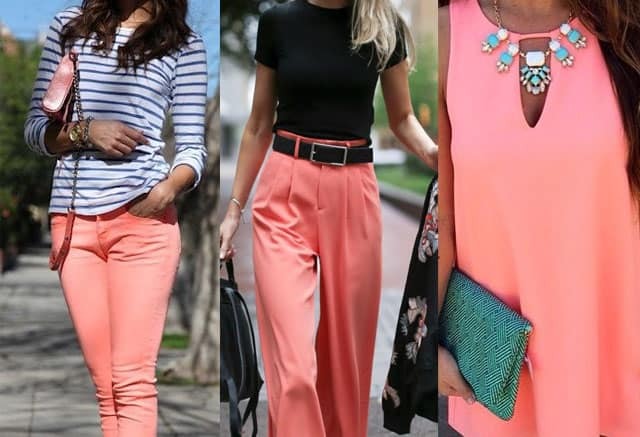 Deciding what color goes with coral pink is the best for the certain appearance, the shade of skin, eyes and hair should be taken into consideration. Dark hairs and eyes are preferable. Coral pink trousers with black belt and black jacket. Romantic and cute image.